Sperm Whale - Physeter Macrocephalus, Kaikoura, New Zealand coast. I shot a picture of this sperm whale just logging, a term used to describe when a whale lies still at the surface of the water. The sperm whale is an active cetacean normally diving and spending most of its time under the water. However, this sperm whale was content at logging for a while, to rest. Sperm Whales rest by lying motionless with a part of the head and dorsal fin or back partly out of the water. It is very impressive to see these large animals from the air. 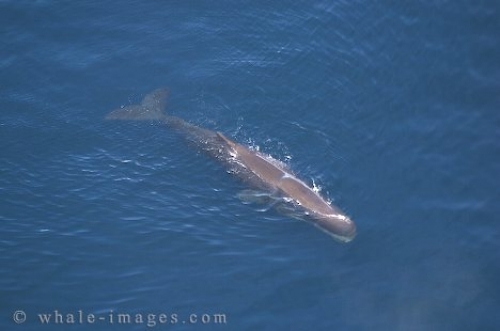 Aerial Picture of a Sperm Whale breathing on the surface of Kaikoura Bay in New Zealand.